Jumpin’ Jack Strobel is a veteran showman, and his vocals and piano performance skills were earned the old fashioned way – through plenty of gigging and hard work. He hails from the Empire State and in his travels he has played with gifted locals as well as big-name bluesmen, including Kid Ramos, Lynwood Slim and Gatemouth Brown. Things have Changed is the follow-up to Jack’s 2003 debut album, and he has gone in a different direction this time by compiling a collection of eleven cover tunes. They range from blues standards and big hits to stuff that I have never heard before. The one thing that these songs have in common is that they are all performed regularly in his live shows. For this project, Strobel takes on the lead vocals as well as the piano and Hammond B3 organ responsibilities. He is joined by his usual backline of Mike Lampe on upright bass and Steve Brown on drums. Jack’s longtime friend Andy Riedel plays the guitar, and assumes the producer‘s role. Special guests Layonne Holmes, Ricky Laurie Collins and Big Joe Fitzpatrick also appear on backing vocals for a few of the tracks. When I first listened to this CD, I was taken by the sense of confidence that Strobel and his band exude while performing. His strong voice is touched with humor and honesty, and his keyboard work is rock solid. The rest of the musicians are no slouches either, and with the fine job they did of recording and mixing this material, it is a pleasure to listen to. The first track, “Mother Earth,” is a neat take on Memphis Slim’s 1951 original (and Slim’s most successful song, by the way). The original 12-bar format and lyrics are retained, but there are no horns or harp to be found here, and the backing vocals have more of a New Orleans tone to them. Jack’s voice is rich and deep, and his honky tonk piano is well-miked and sounds as clear as glass. One thing that has not changed about this song is the classic message that no matter what happens, we are all going to pass on from this world some day. Strobel included a few Bob Dylan songs on this disc, but they are not the choices that one would normally expect. In particular, “Things Have Changed” is quite obscure, having been written for the 2000 film, Wonder Boys. Jack’s version is brasher, with the mood effectively set by the organ and heavy guitar. The other Dylan track is a re-do of “Don’t Think Twice” from 1963, and it has been transformed from a folk song into a slow-paced gospel-tinged ballad. Strobel did a nice job with both of these, and it is certainly nice to hear these songs being performed by someone that can sing well. There are a few big-time blues hits sprinkled in, too: Ray Charles’ 1957 hit “Get on the Right Track Baby” and “Bad Bad Whiskey,” a 1950 top-charter from Amos Milburn. Both of these tunes maintain the 50s rock and blues feel, which is helped along by the tasteful backing vocals of Lampe, Brown and Riedel. 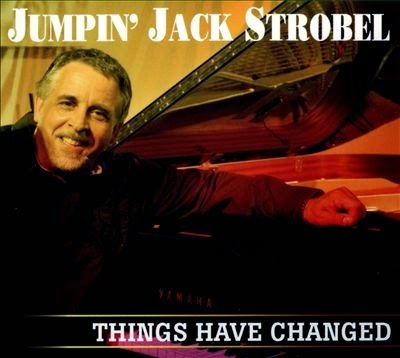 My favorite track on Things Have Changed is Strobel’s take on Duke Robillard’s “You Mean Everything to Me.” This song has been re-imaged into a jazz-tinged blues number, and everything comes together here perfectly. 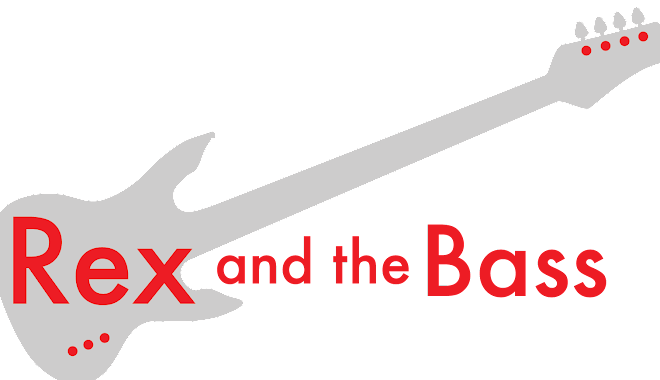 The bass has a lovely woody tone, Jack has the perfect feel for the keys, and Riedel’s guitar completes the smoky vibe. There is not space to cover every track here, but the remaining covers come from every corner of the country: John Hiatt, Charles Brown, Lynwood Slim, Little Walter Jacobs and the lovely Gillian Welch. These songs are all equally well-done, and as a whole they fit in with the rest of the material to make a work that can stand on its own. Things Have Changed is a collection of very good American music, and Jumpin’ Jack Strobel has proven to be a respectful caretaker of this original material as he applies his own mold to it. He has gone through a period of growth over the past few years, and I look forward to seeing if this results in the creation of more original material and new projects. I am sure he will have plenty to say!